You are lazy and don't like having to refill the feeder every day. You are forgetful and fear that the birds may starve to death. You are cheap and would rather buy new video games than bird seed. You are a wimpy little girly man who's too puny to pick up those heavy bags of seed. You have acrophobia and climbing the ladder to get to the feeder makes you dizzy. With some of these problems, I can't help you. I, myself, fall on the forgetful side. Not to worry. The birds will get food elsewhere, you're just making it easier for them to feed their families. It may not be bad to let the feeder run out once in a while just so the birds will have to remind themselves where the regular food is. Different foods appeal to different birds. The more attractive the food, the faster it will be eaten. If you want really long-lasting bird seed, put out something that's mostly millet. None of the birds in my neighborhood like that stuff, and for some reason bird seed manufacturers load their seed blends with millet. In my experience, the sparrows in East Texas shake the millet out of the feed trays and leave it on the ground. The rats love it when they do that, by the way. Avoid heavily millet-based bird seeds to cut down on the waste (and the squirrels and rats), but buy millet if you want to watch the birds play with their food. Where you put your feeder is important. 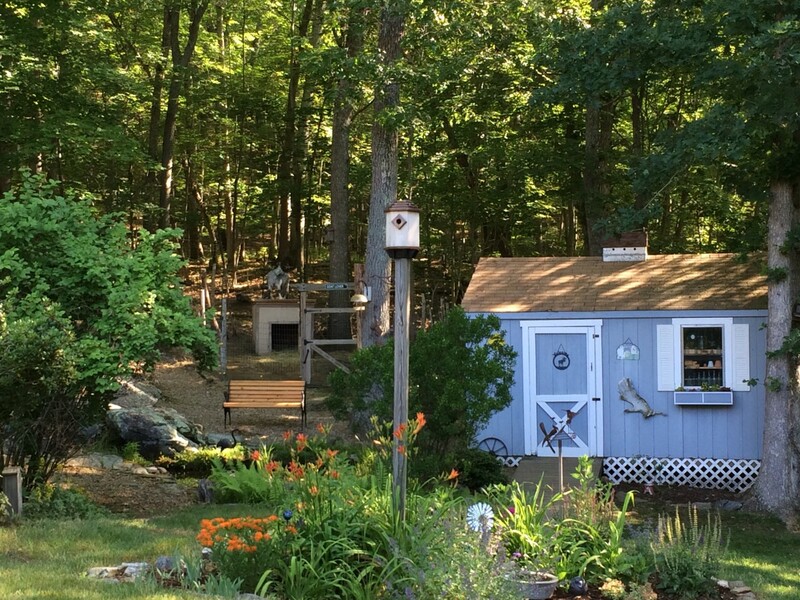 It comes down to a trade-off between your desire to see who's visiting your feeder and the birds' desire for privacy. Placing them in high-trafficked areas will mean that the bird food lasts longer because they have to wait for a break in the traffic to approach the feeder. 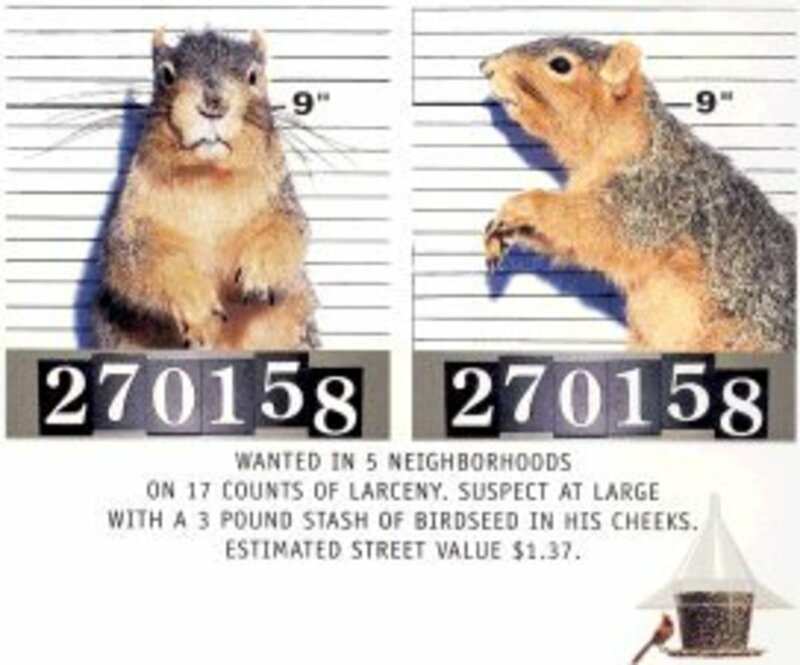 Maybe it's best to avoid places where your cats can get to the birds and places where seed hogs like squirrels and rats can access. If you've got several squirrels hanging off your feeder all the time, it will be constantly empty. Not only that, but the squirrels do a lot of damage, especially to wooden feeders. If you want the birds to eat their fill, make sure the feeder is in a safe place that feels private for them. If you keep startling them by sticking your nose against the window, they'll quit coming to your house and go to someone else's. 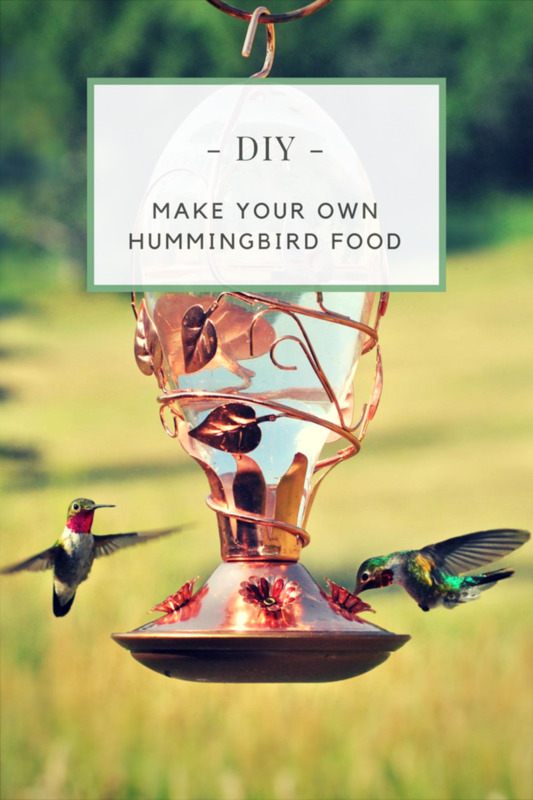 Which Types of Bird Feeders Are Best? 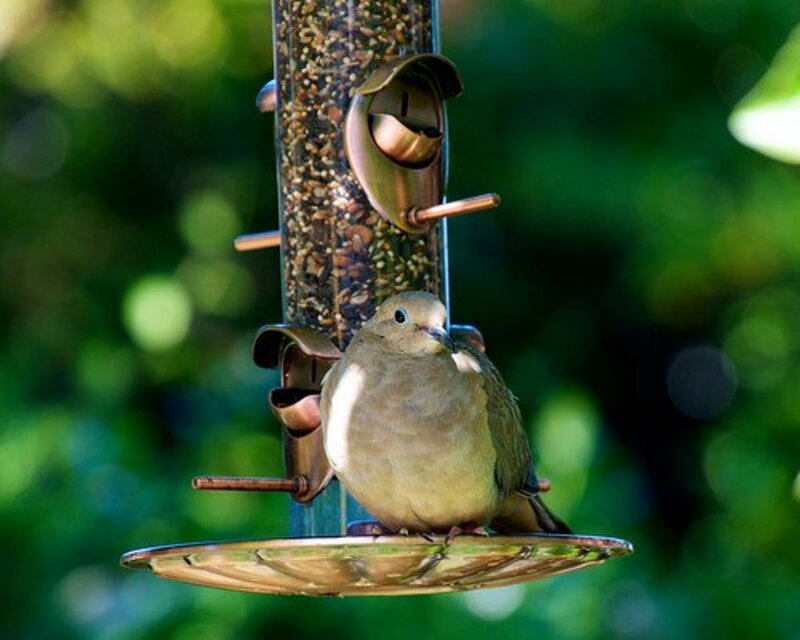 There are several types of feeders you can buy. Some feeder arrangements actually protect the bird food more effectively, reducing waste. Tray, screen, and fly-through feeders are more open and easier for birds to get to. Unfortunately, they also allow excited birds to scatter food. This soon attracts squirrels or raccoons. You will almost inevitably have to refill these frequently, unless you plan to stand guard 24/7. Cylindrical, tube, thistle, and counter-weighted feeders are designed to protect their contents from thieves. Birds that aren't the right size or don't have the right beak shape are shut out so you little birds have a better chance to get their lunch without having to deal with the bully boys in the neighborhood. Bird feed supplies last longer that way. Suet feeders can be designed to screen out starlings, house sparrows, or other non-native invasive species. Check with your bird supply shop for these special designs. 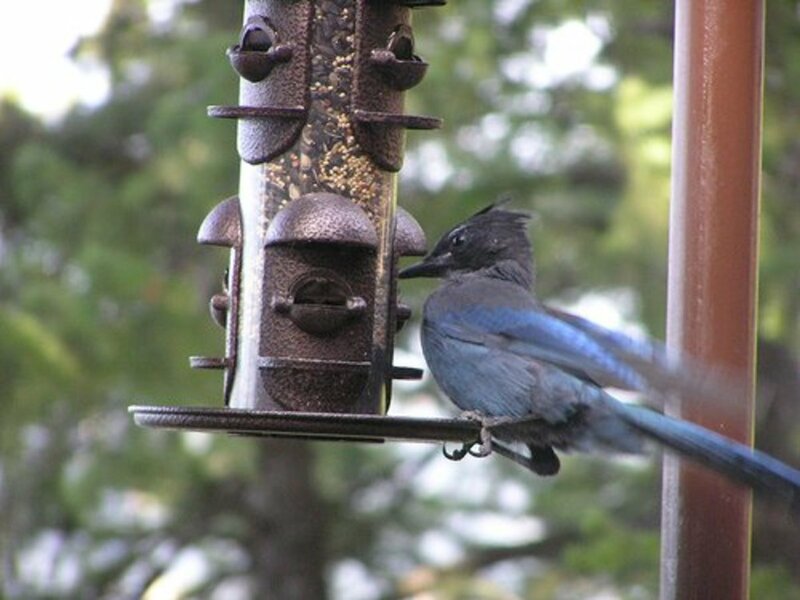 Some birds that feed on insects and worms and such will only feed at suet feeders. Feeder reservoir design also determines how quickly the birds consume your feed supplies. The size and shape of the food reservoir and delivery system, the number of feeder openings, the width of feeder tubes, and the size of the screen mesh limit how much food birds can pull at a time. Limiting access can limit waste and make your feed last longer. Nothing is quite as aggravating as having the local rodentia tear up your feeders and decimate your seed supplies. Fortunately, human ingenuity comes to the rescue. A plethora of innovative bird feeder designs have sprung up in the past two decades. 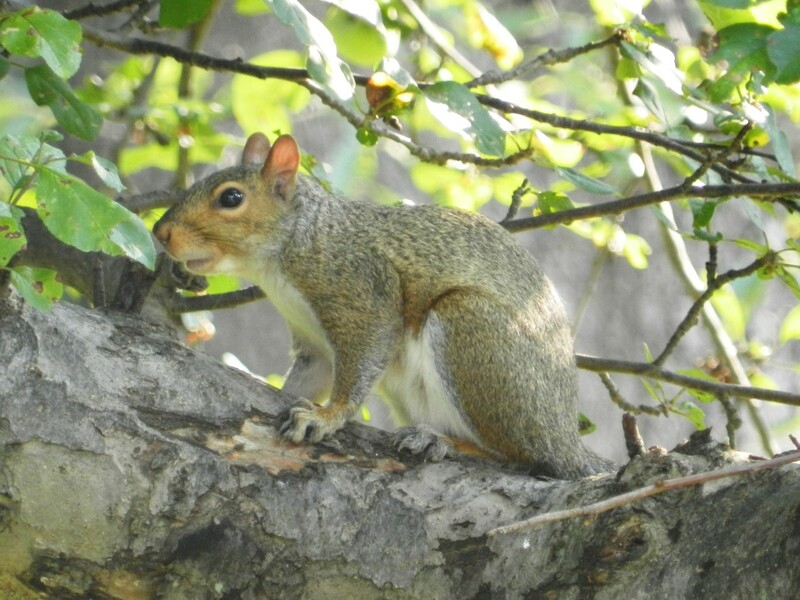 Designed to thwart these furry predators, anti-squirrel feeders do everything from drop a wire cage over the feeder trays when a squirrel puts his weight on it to greeting him with a variety of slippery barriers designed to send him over the side when he jumps on top. 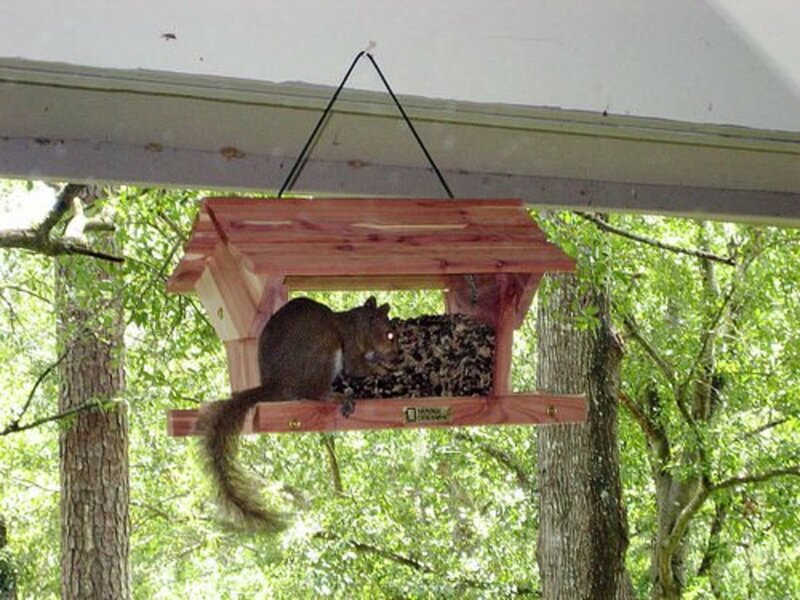 Anti-squirrel feeders can be downright fun, too. One delightful design causes the squirrel to trigger a small electric motor that spins the feeder round and round till the squirrel lets go and is flung into space. The fall isn't enough to hurt him, but watching dizzy, frustrated squirrels try to climb back up the tree for another run at it is a real hoot, especially if they've wiped out your bird seed supplies summer after summer and destroyed dozens of your prettiest feeders. Just for the entertainment value, I recommend anti-squirrel devices. Squirrels are extremely stubborn and always come back for another shot at it. 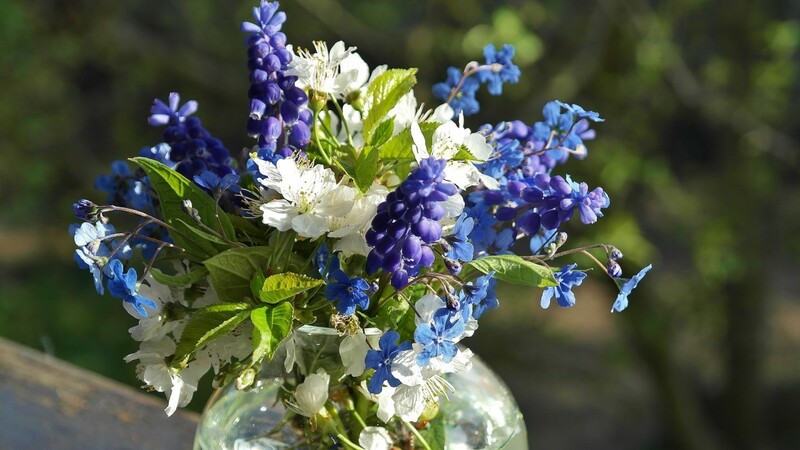 You may not see as much business in the summer and autumn when the berries and nuts are ready. Birds like fresh food as much as people do. 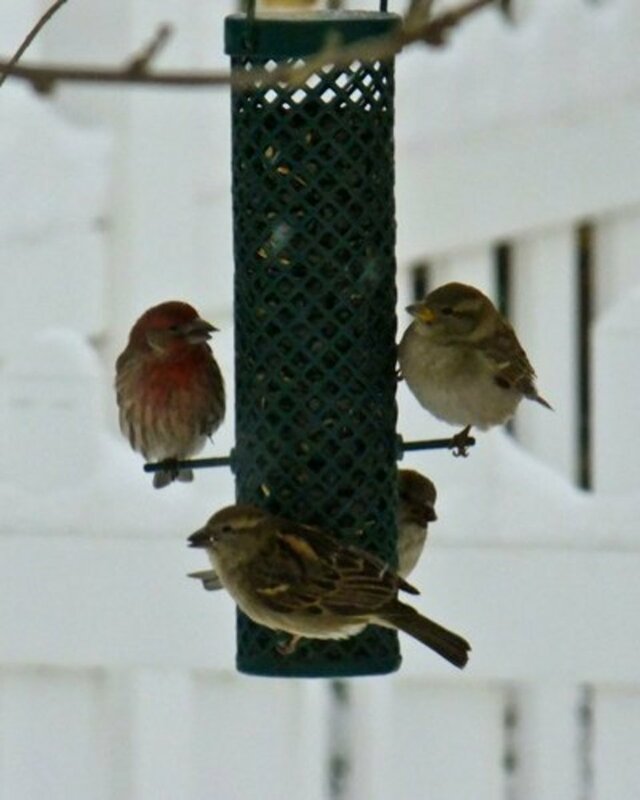 Migratory birds may disappear in the winter while others may be very grateful for your feeder, especially when it snows. Spring is when you'll do your big business. Nesting birds with hungry families must consume huge amounts to stay alive. Your feeder can mean the difference between life and death for some birds in areas where food supplies are only marginal. Keep the feeder full and you'll see burgeoning bird populations near your home. It's the one season where they get really greedy. If you have kids to feed, you can probably relate. Different birds like different types of food. Large birds eat faster, but then again, so do crowds of little birds. The types that live near your feeder determine how long your seed lasts. Invasive bird species decimate seed supplies, especially where there are large populations. Seed that only attracts rarer species will slow seed consumption. Feeder design too can keep out the dominant species. Here are some suggestions to help you choose bird feed for different types of birds. Black oil sunflower seeds appeal to goldfinches and chickadees. Try striped sunflower seeds if you're looking to attract larger birds like blue jays, cardinals, woodpeckers and nuthatches. Try hard shelled safflower seeds to attract larger birds and discourage the sparrows and other smaller birds. This works to slow feed consumption. If you like small birds and ground feeders like doves, sparrows, cardinals, and towhees, a white proso millet will bring them. Millet is easily scattered and you do have the rat problem, but if you want to be democratic in your avian charitable efforts, millet does the trick for common birds. Milo, cracked corn, and peanuts draw a bigger crowd, and by bigger, I mean bigger birds as well as bigger crowds. The one drawback is that it can also draw invasives like starlings, and those guys will clean out a feeder in two shakes. These seeds generally don't last long, but you should only half fill your feeder in slow seasons as these seeds are vulnerable to mold and rot and should be protected from the weather or eaten fast. Nyger or thistle seeds attract buntings, finches, and other small-beaked birds. You need a special thistle feeder or the tiny seeds will just pour out on the ground. Thistle feeders are made so that larger birds and invasives can't get at the seed, so your feed consumption will be much slower. Suet cakes draw the big hungry birds. How fast the birds consume the cakes depends on which type of suet cake you hang and which type of bird comes calling. 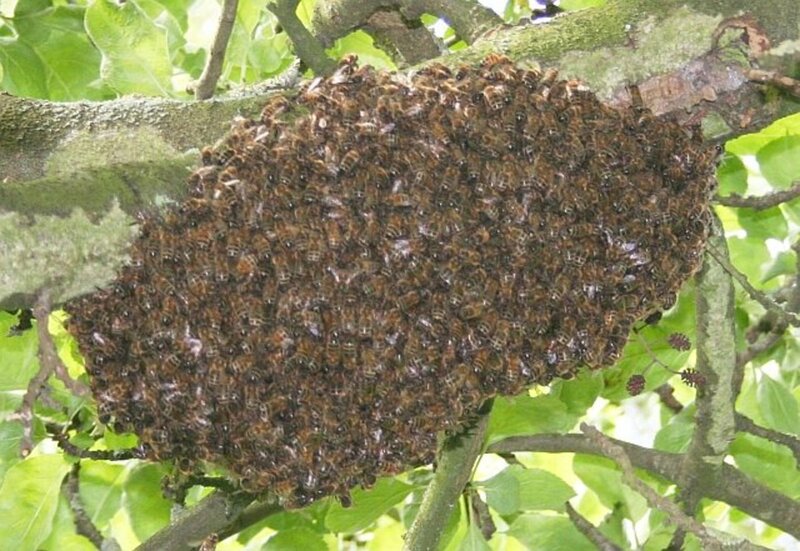 Fruit and nectar cakes tend to be eaten rapidly but can spoil in hot weather, so don't buy a bunch of them at a time. Avoid bird seed with large amounts of inexpensive bird seed fillers, like golden and red millet or flax. Birds don't like them very much and scatter most of it on the ground. Don't get too hung up on how fast the birds go through your bird seed. Focus on whether they are eating it or scattering it. Invest in seed blends with low levels of filler like red and golden millet and flax. You'll have lest waste and the feed may be consumed more slowly that way. Get a good feeder that attracts birds you want. Getting the right feeder setup is something of a science and research and experimentation can be fun. I just bought a bird feeder. I fill my bird feeder with seeds from Amazon. The first time, it took two days for the feeder to be empty, the second time eight hours, and the next time five. It's like rush hour. Mostly sparrows and starlings. What can I do to make the feed last longer? And attract other birds? Is there a better bird feeder than the squirrel buster I bought from Amazon as well? You likely have a lot of birds and a scarcity of native food this time of year. You get surges at different times of year when food supplies vary. If you get the higher quality stuff, it can last longer than the cheaper stuff. I buy waste-free seed. If there's too much millet in the blend, the birds will just scatter it trying to get to the good stuff. Check how much millet is in the blend. Get the kind with little or no millet, and it will last longer. Finch feeders will draw colorful little finches. 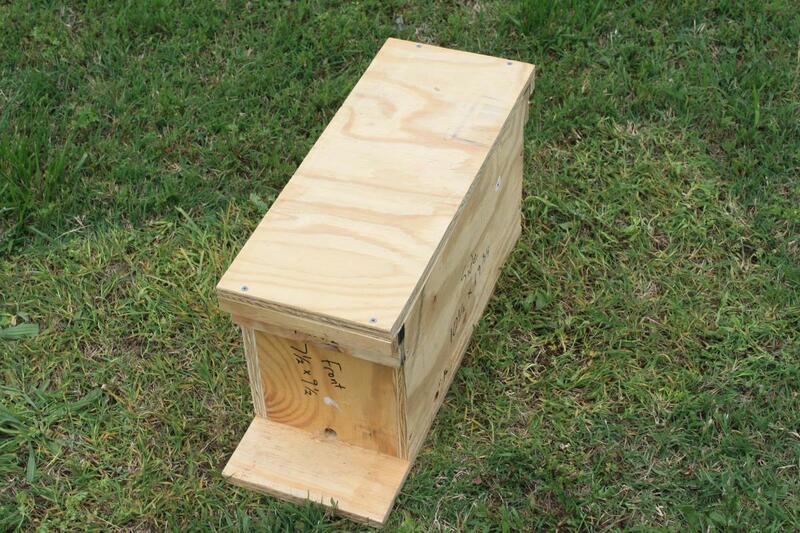 And hang a suet feeder - it's a cage you can put suet blocks in it and draw different birds than the seed feeder. I even put a piece of bread with peanut butter on it into the suet feeder. It draws all kinds of birds. The "video games" comment WAS intended to be humorous and not to be taken personally or as a challenge to anyone's financial priorities. At present I care for a disabled wife and freelance to make ends (barely) meet. Bird seed is a priority for us because my wife finds it pleasant to watch them and so I count my seed costs as "medicinal". Don't have a cat. Did have a dog. Cats require rather more staff than I currently have time, energy or money to maintain in the manner to which cats rapidly become accustomed. While I presume the video game comment was intended to be humorous, not everyone has the same financial priorities. In fact, many families today have a fairly limited budget for non essential expenses (i.e. bird seed). That said, putting out any amount bird seed for wild birds should be seen as generous. In our case, it is not so much a financial constraint as it is time. My wife and I primarily put seed out to entertain our two cats (mother nature appears to already provide for them in our area), and we want to limit the seed consumption to reduce the number of trips to refill the feeder and clean up the mess the birds leave on our front porch. You're welcome. We've got a feeder hanging outside our second story window here in Puyallup. Here it's rats that are the problem, so we buy more expensive seed so there's less waste to attract rodents. As a bird watcher myself, I enjoyed the good advice you gave here in this hub. Thanks. Excellent tips when you want to feed "your" birds in the garden. I did not realise certain seeds attracted certain birds more than others. Good hub voted up and interesting!